Bowen, C. (2002). Lionel Logue: Pioneer speech therapist 1880-1953. Retrieved from http://www.speech-language-therapy.com/index.php?option=com_content&view=article&id=53 on [insert the date that you accessed the file here]. Lionel George Logue was born in College Town, Adelaide, South Australia on February 26, 1880. He was the eldest of three children. 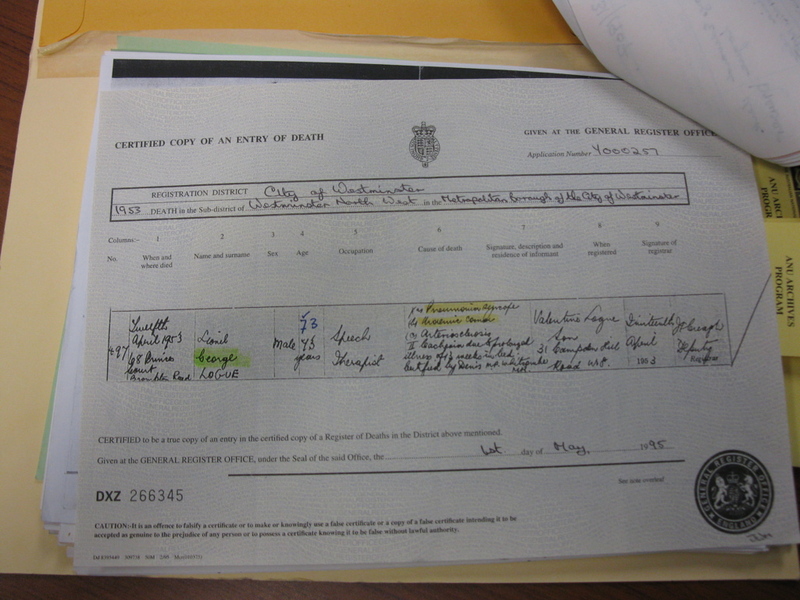 His South Australian born parents were George Edward Logue, an accountant in the family brewery and later a hotel licensee (publican), and his wife Lavinia, née Rankin. From 1889 to 1896 he attended Prince Alfred College, Adelaide from 1889-1896, a private school established in 1869 as a Methodist boys' school. In Adelaide, Logue studied elocution with Edward Reeves, "who purged his voice of much of its Australian accent" (Edgar, in Ritchie, 2000). By 1902 he had become Reeves' secretary and assistant teacher, while pursuing his studies at the Elder Conservatorium of Music. He remained a music and theatre-lover throughout his life and also enjoyed walking and gardening. After leaving the conservatorium, the versatile Logue worked on a gold mine in Kalgoorlie, Western Australia. 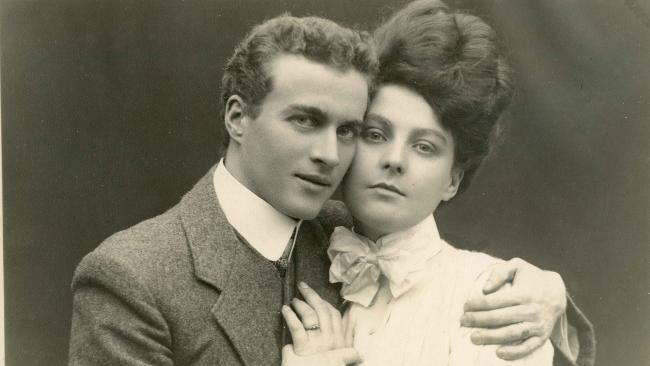 On March 20, 1907 he married a 21 year old clerk, Myrtle Gruenert in St George's Anglican Cathedral, Perth. Lionel and Myrtle settled in Perth, where he taught elocution, public speaking and acting, staged plays, recited Dickens and Shakespeare at public gatherings, and founded a public speaking club. As well, he taught at the YMCA, Scotch College, and from 1910, Perth Technical School. In 1911 he went on a world tour. 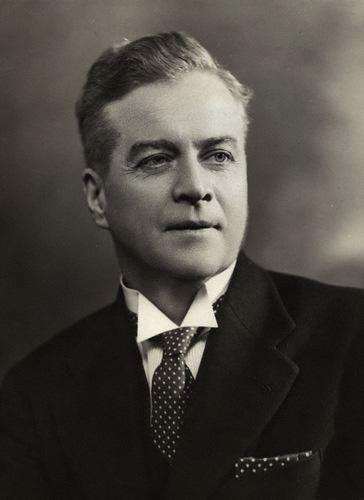 As a Christian Scientist, Logue was passionate about healing, and perhaps this, coupled with his background in elocution, lead to a role he assumed in Perth during World War I (1914-1918) when he treated at least seven returned servicemen who had speech disorders attributed to shell shock. Edgar (in Ritchie, 2000) writes, "Using humour, patience and 'super-human sympathy' he taught them exercises for the lungs and diaphragm, and to breathe sufficiently deeply to complete a sentence fluently". Logue's approach included the recitation of tongue twisters such as, "She sifted seven thick stalked thistles through a strong, thick sieve." ( Denis Judd, King George VI, in Langford, p.472). Perth feminist activist Irene Greenwood (1899-1992) recalled being taught "voice production" by Lionel Logue in Perth, circa 1921, also noting that "his techniques were designed to repair the damaged vocal chords [sic] of gassed war veterans" (Richardson, 1996). In 1924 Logue commenced practice at 146 Harley Street, London. He made a good living, charging wealthy patrons substantial fees while providing a free service to poorer people who sought his professional help. A Freemason, Logue was appointed as speech therapist to The Royal Masonic School, Bushey. During the second world war his practice dwindled, and he worked as an air raid warden (probably unpaid, or for a small allowance) in London three nights a week. After his wife's death in 1945, Logue was attracted to spiritualism. Survived by three sons: Valentine, Laurie and Anthony, Logue died in London on April 12, 1953, and was cremated. At the time of his death his address was 68, Princes Court, Brompton Road, Knightsbridge, London, S.W.3, and his occupation was noted as "Speech Therapist" in the London Gazette Death Notice. Encouraged (Davie, 2002) by his wife Elizabeth (1900-2002), the then Duchess of York, the Duke of York, later to become George VI (reigning from 1936 to1952) consulted Logue about his stutter in 1926. "Until Edward VIII abdicated, his younger brother Bertie was not expected to succeed to the throne. He was born in 1895 and led a regimented childhood without a great deal of family warmth or empathy. Although naturally left-handed he was required to learn to write with his right hand. He developed a serious stutter as a young boy which caused him difficulty and embarrassment and which he fought to conquer throughout his life. Adding insult to injury, his siblings were apparently allowed to ridicule his speech" (Baker 2002). Sinclair (1988) reports that the young duke visited Logue's rooms almost every day for two months, and that he was: "frequently accompanied by the Duchess, who became thoroughly familiar with Logue's program of breathing exercises so that she help her husband to practise them at home. Within a few weeks, an improvement was apparent and the Duke told his father that, although 24 years of speaking in the wrong way could not be set right in a month, he was confident that in time he would be able to talk without stammering." By contrast with Sinclair's "two months", Logue and Conradi (2010, p. 68) viewed Logue's bill, drawn up on March 31, 1928. It showed that Logue and the Duke met for eighty-two appointments over 14 months between 20 October 1926 and 22 December, 1927. "When the young duke went off to Harley Street to be treated by the Australian speech therapist Lionel Logue, she often went with him. He gradually overcame his disability, but she was always beside him when he had to make a speech, and helped write them, eliminating the difficult consonants." Notable Australian poet and biographer, Suzanne Edgar, in Volume 15 of the Australian Dictionary of Biography, provides the most detailed account of Logue's diagnosis and treatment, and the duke's response. "The therapist diagnosed poor coordination between larynx and diaphragm, and asked him to spend an hour each day practising rigorous exercises. The duke came to his rooms, stood by an open window and loudly intoned each vowel for fifteen seconds. Logue restored his confidence by relaxing the tension which caused muscle spasms. The duke's stammer diminished to occasional hesitations. Resonantly and without stuttering, he opened the Australian parliament in Canberra in 1927. Using tongue twisters, Logue helped the duke rehearse for major speeches and coached him for the formal language of his coronation in 1937. At Westminster Abbey on 12th May, wearing the M.V.O. decoration given to him by King George VI on the previous night, Logue sat in the apse to encourage him during the ceremony. Before the King's radio broadcast that evening, Logue whispered to him: "Now take it quietly Sir". "The 'slow, measured pace' which he had afforded the King's diction proved affecting in His Majesty's wartime broadcasts and speeches.Elevated to C.V.O. in 1944, Logue was with the King for the V.E.-Day broadcast on 8 May 1945. Their friendship was 'the greatest pleasure' of Logue's life" (Edgar, 2000). According to one of my favourite authors, Margaret Drabble, who has a particular personal insight into stuttering, despite Logue's help George VI never became comfortable with public speaking, particularly broadcasting. "He rehearsed everything with Logue and dreaded last minute alterations to his text: the Sovereign's Speech afforded him an added difficulty as it had to be delivered sitting, not standing. Occasionally, he was able to be pleased with his efforts: in 1940, his diary records that his he was very pleased with the way he delivered his speech on Empire Day - 'it was easily my best effort. How I hate broadcasting.'" (Drabble, 2001). "One of Queensland's leading elocutionists, Miss Una Vowles, L.T.C.L., L. Eloc. A., will leave Brisbane for London on Saturday next, May 2, with the object of continuing her studies abroad, specialising in speech training. Mr. Lionel Lowe [sic], of West Australia, who was an elocution teacher to H.R.H. the Duke of York, will be her tutor for speech defects. Miss Dorothy Carey, of Gympie, will accompany Miss Vowles on her tour, which will include Ireland, Germany, France, Italy and Austria." "Quite a number of people have asked me were we related to the Westralian branch of the Vowles family. Lionel Logue said to me the other day - "The only other Una I have ever known lived in W.A. She was the wittiest, cleverest and smartest woman in the West and her husband adored her. Her name was Una Kirby"! Funny wasn't it? Immediately told him that was Una Victoria Vowles after whom I was called, my father's sister. He told me he never takes students but as he liked me and as I am an Australian he would do his best for me. He is a very interesting man and though he looks young is between 50 & 60." When Miss Vowles returned home, she was interviewed for a story that appeared in The Brisbane Courier on 16 February, 1932. In an article that featured in the Courier Mail on August 28, 1933 Miss Vowles commented on fashions in speech and deliberate lisping as an affectation. Dr Cooney notes that her mother, who passed away in 1999, had an elocution studio in Brisbane, continuing to help people who stammered into her later years. My thanks to Dr Cooney for providing this information and permitting me to include it here. Logue was a founder, in 1935, of the British Society of Speech Therapists, and in 1944 became a founding fellow of the College of Speech Therapists (now called the RCSLT). The College was granted royal patronage by George VI (in 1948, according to Eldridge, 1968, and see a letter from Logue to George VI requesting royal patronage) and Elizabeth, the Queen Mother was its patron from 1959 until her death on March 30th, 2002. Indeed, she was patron or president of 350 organisations. "one of the greatest trance mediums of modern times. During her forty years of dedicated service to countless people in all walks of life who received comfort and guidance. Many famous people, The Queen Mother, Lionel Logue, speech therapist to King George VI are just a few of the people who sort [sic] her great gifts." He also knew Hannen Swaffer, the well-known journalist and spiritualist apparently confiding in him that he had read John Brown’s diary at Windsor Castle! Australian historian and qualified speech therapist Margaret Eldridge provides a slightly different view of Lionel Logue in her 1968 book. "Yet another link between the future of speech therapy in England and in Australia was forged in the nineteen twenties when Mr Lionel Logue of Western Australia arrived in London. Mr Logue was then a young man whose work in the field of voice production and public speaking had led him to specialise in the treatment of stammering. His interest in the therapeutic aspect of speech training may have arisen from the fact that medicine was his first choice of a career, but for reasons of health he had been unable to pursue it, so had turned to his second field of interest: the study of voice and speech. In Australia, at the time, there was no provision for the study or practice of the treatment of speech disorders; anyone wishing to supplement his own investigation in logopaedics would be most likely to find what he sought either in England or on the European continent. On arriving in England Mr Logue made his home in London, where he set up in private practice - in voice production and remedial speech training. His success, particularly with stammerers, was immediate, and before long he was specialising in that branch of his work. His method of treating stammering consisted in establishing in each patient a firm belief in (a) the possibility of ultimate release from the stammer, (b) that this release would be achieved through the patient's own effort of will, courage and determination; the practice of exercises in breathing, voice and speech, and the performance of speech-situation assignments were the means by which self-confidence was gradually established. There is no doubt that Mr Logue's own character and personality - his gift of practical sympathy allied to common sense, his humour and his charm - were important factors in the success of his treatment." There was little curiosity about Logue and his life from outside the speech pathology profession when I wrote this article and posted it on my web site in 2002. Several kind people sent snippets of information and Logue memorabilia, and that was about it. But from 2007 onward, regular enquiries trickled in from writers (several journalists, a playwright, and two or three aspiring authors), researchers and people who stutter (or who stuttered) eager to know more about Lionel Logue. Not exactly Lionel Logue Fever, but a definite increase in interest. My role was to provide what information I could and to help some of these people make contact with each other. Since 2007 a play, "The Dorchester", has been written and performed with Logue as an important character, a feature film, "The King's Speech", made with Logue at its core, and at least two biographies have been completed - one in the UK and the other in Australia. In 2010, because of the interest generated by "The King's Speech" feature film, stories about Logue have appeared in newspapers and popular magazines, as well as in several newsletters and blogs associated with advocacy and self-help groups for people who stutter. The people who have made contact with me have all wanted more information than I have been able to provide, particularly around two recurring questions. Are Logue's methods for treating stuttering used today? What is Logue's legacy? Are Logue's methods used to this day? Following the release of "The King's Speech" presentism has been prominent in interviews with, and articles by experts endeavouring to shed light on Logue’s intervention methodologies relative to current speech-language pathology theory, evidence and practice. Such commentary, however, is largely based on guesswork, as no-one has unearthed verifiable records of his intervention methods for stuttering (stammering). Because so little is known about what Logue did, specifically, in treating stuttering we are quite unable to tell whether any of the stuttering treatments available today echo his work. Whatever he did, it is doubtful that anyone other than Logue himself did “Lionel Logue Therapy” because he had no students, assistants, disciples or emulators. Pupils' (Logue preferred the term 'pupil' rather than 'patient' or 'client') descriptions suggest “dialogue coaching” and public speaking training (Logue’s original passion and career path in Adelaide, Australia), breath control (such as "costal breathing" or "rib reserve breathing" or "diaphragmatic breathing", popular with elocutionists or speech teachers at the time), with some unconfirmed suggestions that he "hypnotised" his patients. From all reports he was a sincere, compassionate person with great personal magnetism who believed in himself as a healer. As far as the healing went, we will never know whether he developed an effective treatment able to withstand the tests of time and scientific scrutiny. Regarding King George VI, we do not know that he did not just prop the King up for a few state occasions as opposed to helping him, through therapy, to control his stutter all the time. He was a practitioner of his time, so there are no pre- or post-treatment measures to be had, no account of the specific intervention administered to the King, and no indication of a maintenance program for the King to follow in order to maintain his fluency. The only written-down record available is from Logue and Conradi (2010, p. 68) who refer to Logue's bill, drawn up on March 31, 1928, showing that Logue and the Duke met for 82 appointments over the 14 months between 20 October 1926 and 22 December, 1927. Lionel Logue's methods, based in contemporary elocution practice, were legitimate in their day and must be viewed in their historical context rather than through the admonishing lens of 21st century hindsight. "I was treated and cured by Lionel Logue in 1952, aged three. Obviously as I was very young I don't recall much of what happened. My late father, who was a freemason, had arranged to get me referred to Logue to treat my serious stammer, which had developed following life-saving surgery and a convalescence of six months. NHS methods had been tried and failed. I recall being welcomed into his Harley Street consulting room. Only one visit was necessary. As I approached Logue I remember him saying 'hop over here, Geoffrey' and being an obedient child I duly hopped across the room! My father was not allowed to be present during treatment. Dad believed that Logue used hypnosis but I have no evidence whether that is true or untrue. My next recall is of my father's tearful thanks to Logue on my return to the waiting room, when I could speak without the wretched stutter. I shall always be indebted to that great healer." My thanks to Professor Elliott for allowing me to share his story here. The speech pathology profession boasts many people who stutter in its ranks, and Professor Elliot (personal correspondence November 10, 2010) has raised for the first time, for me, the possibility that Lionel Logue himself stuttered. He writes, "...my father recounted to me that on meeting him, Logue stuttered, and seeing the aghast look on my father's face, said: 'I know what you're thinking, "Physician heal yourself". Well the truth is I can't but I can cure your son'. It is difficult to get the measure of the man, but looking at his history he strikes one as a kindly, energetic, charismatic searcher and dabbler with a penchant for associating with interesting and prominent people, and for “founding things”. His first foray into founding things was at the age of 21 when he founded a public speaking club in Perth, Western Australia. At 44 he founded a Harley Street practice in a field in which he had no formal qualifications (opportunities to study the nature and treatment of communication disorders were available at that time in the US and Europe - see the comment above from Margaret Eldridge re "England or the European continent"). At 55 he co-founded a professional association. While his association with King George VI gave him a public “reputation”, in Australia and Britain particularly, his most enduring contribution to the profession was his involvement as one of the founders in 1935 of the British Society of Speech Therapists. This contribution was recognised by professional peers in 1944 when he was made a Founding Fellow of the College of Speech Therapists (today's Royal College of Speech & Language Therapists). Participating in the formation of a speech therapy professional association might seem an obvious and logical progression for a person with an elocution teaching background who somehow evolved into a recognised and "decorated" speech therapist, but it took a person like Logue to do so. We do not know what his motives were. Despite the decorations he received and the prominent people he associated with, fifteen years after his Harley Street practice was established it (his practice) declined. So maybe he helped to establish the British Society of Speech Therapists in a bid to stimulate a resurgence of his business, or to be a personage (“a founder”). I prefer to think that he had the foresight to know that for the profession to become a profession in good standing, cooperation between practitioners was necessary, qualifications had to be formalised, and that some sort of regulation of standards and ethics was required. THAT was pioneering work, and the essence of Logue's legacy. Edgar, S. (2000). Logue, Lionel George (1880-1953). In Ritchie (2000) Ed. 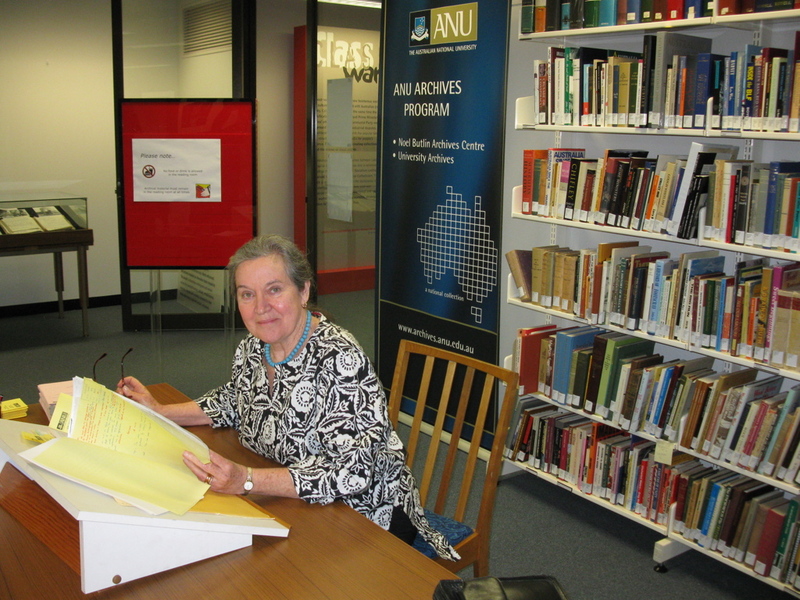 Australian Dictionary of Biography, Vol 15 1940-1980. Melbourne: Melbourne University Press. http://adb.anu.edu.au now available here. Eldridge, M. (1968). A history of the treatment of speech disorders. Melbourne: F.W. Cheshire. Logue, M. & Conradi, P. (2010). The King's Speech. London: Quercus. Sinclair, D. (1988). Two Georges: The making of modern monarchy. London, Hodder and Stoughton. Lionel Logue's birth and death, and links to information about other family members. "George VI, born December 14, 1895, was the second son of George V and Mary of Teck. He was an unassuming, shy boy who greatly admired his brother Edward, Prince of Wales. From childhood to the age of thirty, George suffered with a bad stammer in his speech, which exacerbated his shyness; Lionel Logue, an Australian speech therapist, was instrumental in helping George overcome the speech defect." FAREWELL TO MR LIONEL LOGUE. At the Alexandra Rooms, Hay-street, on Monday evening Mr. Lionel Logue was tendered a farewell social by his past and present pupils. Mr. C. Price Conigrave, F.R.G.S., presided over a large attendanceof pupils and their friends. The evening was spent pleasantly, a fine programme of songs and elocutionary numbers being contributed by Miss Fitzgerald, Messrs. G. C. Haywood, Chandler, Glowrey, and Dunne. Mr. and Mrs. Logue yielding to a keen wish on the part of those present also kindly gave two charming numbers. Mr. Conigrave proposed the toast of the guests of the evening, and said that all those who either were or had been pupils of Mr. Logue could not think of letting him go away without holding a social evening in order that they might say au revoir and wish bon voyage to him and his wife. He pointed out the value of an elocutionary training and said that as one who had had considerable experience in public speaking he was always grateful to Mr. Logue for the advantages that gentleman had opened to him. At the present time poetry and the drama were perhaps, the greatest media of thought, and their study opened up vast fields, where one could wander with delight at will and leisure. This delight would be greatly increased when accompanied by that intelligent and cultivated interest which the elocutionary art gave. He envied the guests of the evening for the trip upon which they were shortly starting, as like most Australians, he had the inborn wish to see other sights and to hear other sounds than those which greeted the eye and ear in this sunny land. He trusted that after all their wanderings in America and England they would return to their accustomed sphere greatly benefited in health and experience by their journey. Mr. Logue, in responding, spoke humorously of the many reports that had been circulated as to what Mrs. Logue and himself intended to do. They were, so they were told, going on the stage, and in fact he himself was, he believed, according to rumour, going to do everything except take up the duties of the laundry woman. The truth was that, in view of elocution being such a progressive art, he was going away for a time to gain the latest experience in America and England so that later on he might return to give the benefit of his travels to his pupils in Perth. He spoke enthusiastically of the growth of his work since commencing six years ago. From one college and three pupils he had grown to 16 colleges and 40 pupils, and 306 separate pupils passed through his hands every week. It. was the intention of his wife and himself to ente rupon a course of study organised for teachers only at the famous Chickery Institute of Elocution in Boston, later on going to England to study voice production under the great master Alexander. In going away he was not leaving his connection to look after itself. He had been fortunate insecuring the services of Mr. Dunne, who early in the New Year would proceed with his class work. Mr. Logue concluded his remarks by sincerely thanking Mr. Conigrave for his kindly remarks and all those present for their goodness in organising such a pleasant farewell evening. The toast of "The Ladies" was proposed by Mr. G. C.Haywood and humorously responded to by Mr. Chandler. The evening was brought to a close by the singing of "Auld LangSyne." February 16, 1912: "Students intending to join the free classes should enrol at once, the secretary being in attendance at the school each evening from 7.15 to 8.15. Mr Lionel Logue’s elocution class resumes on Friday 16 inst. To be able to read and speak well is a great element of success in modern life and Mr Logue is WA’s leading elocutionist. All information maybe obtained from the secretary at the Midland Junction Central School." "Official visits to the Balkans (1923) and Northern Ireland (1924) and many public engagements at home were followed by a tour of East Africa and the Sudan in the winter of 1924-5 which gave the Duke and Duchess a welcome holiday and the opportunity for big-game hunting. On his return the Duke presided over the second year of the British Empire exhibition at Wembley. Public speaking was still an ordeal for him but in 1926 he first consulted the speech therapist, Lionel Logue, who over the years was able to help him to overcome his stammer so that speech came much more easily to him and the listener was aware of little more than an occasional hesitation. It was therefore with a lighter heart that he left with the Duchess in 1927 for a strenuous tour of New Zealand and Australia, the highlight of which was the opening on 9 May of the first meeting of Parliament at the new capital city of Canberra. The natural sincerity of the Duke and the radiance of the Duchess evoked an enthusiastic response throughout the tour." "With the birth of their daughters, Princess Elizabeth in 1926 and Princess Margaret Rose four years later, she gave him what he had never enjoyed before, a family life without any sense of strain or oppression, a home in which he was made to feel valued and appreciated. It was she who persuaded him to take his speech problems to the Australian Lionel Logue, a man without formal training, considered a quack by many of his rivals, but with an impressive gift for convincing his patients that they could be cured, indeed that they could cure themselves." "Logue Ill - London, June 5. Lionel Logue Harley street specialist, who became a member of the Royal Victorian Order in the Coronation honours list, is suffering from nervous exhaustion. His name has been given much prominence in personal reference to the King, for he succeeded in ridding him of his stammer, after European experts had failed." January 18, 1938 - Sydney Morning Herald interview, in Melbourne, with "Mrs Lionel Logue" about "Dr" Logue. "After living In England for 14 years, Mrs.Lionel Logue is paying a brief visit to her native land, and will be in Sydney for several weeks. Mrs. Logue is the wife of Dr. Lionel Logue, who taught King George VI the art of public speaking. "The King came to our house every day for lessons," Mrs. Logue said. "He is always perfectly charming, has the most delightful smile, and possesses tremendous grit and determination. If all my husband's pupils had this determination he would be able to boast of 100 per cent. cures." Dr. Logue still goes to the Palace every evening to speak with King George, and is usually there when the little Princesses comein to say good-night to their father. "They are delightful little girls, with charming speaking and singing voices," said Mrs. Logue. "Princess Margaret Rose is full of life and fun, but Princess Elizabeth seems to have more of a sense of responsibility." Mrs. Logue will stay for a few days as the guest of the Governor and Lady Huntingfield at Government House." "a speech therapist I think you would call him these days. But he was actually helping the King who you will recall had a stutter. He was assisting the King in improving his speech. He was quite a fellow, Lionel Logue, he was a West Australian. Never hear about him at all. They lived down at Sydenham..."
Many references to Mr and Mrs Logue. A croweater is a non-derogatory name for a South Australian (a West Australian is a sandgroper). "Speaking is worse than being photographed. I was not cut out by my natural talents to be a lecturer or a public speaker. From an early age – the age of three, I am told - I suffered from a stammer, at times severe, though now very episodic and temperamental. So I could take the line that both Arnold Bennett and Somerset Maugham took when asked to speak in public, at after-dinner gatherings, or to literary societies. Both were severe stammerers, and both insisted that they didn't speak, they wrote. I could argue, though disingenuously, that my objections to the modern commercial literary circus spring from the fact that I entered it with a handicap, and that I feel that, as a writer, that I am being expected to display skills or abilities that I do not possess. This is where King George the Sixth comes back into the story. He, as you know, inherited the throne in 1936 because of the abdication of his older brother Edward - just as, coincidentally, King Charles the First, another royal stammerer, became king through the death of his older brother Henry. George the Sixth was not born to the crown, he had the crown and the burden of public broadcasting unexpectedly thrust upon him. And he was naturally left handed - what is known as ‘a misplaced sinister' - was this, some speculated, according to a current theory, the cause of his problem? Unlike a writer, he was not allowed to choose public silence. He had to speak. He struggled bravely, but, despite the help of an Australian-born speech therapist called Lionel Logue, he never overcame his dislike of public speaking, and especially of broadcasting. He rehearsed everything with Logue and dreaded last minute alterations to his text: the Sovereign's Speech afforded him an added difficulty as it had to be delivered sitting, not standing. "EDWARDS, GEORGE (1886-1953), pioneer of the radio serial in Australia, was born Harold Parks on 11 March 1886 at Kent Town, South Australia, elder son of Lewis Arthur Parks, grocer's assistant and later manager of Crawford Co., Adelaide, and his wife Sarah Jane, née Turbill. After leaving North Norwood Public School at 11, Hal worked as an office boy with D. & J. Fowler, wholesale grocers and importers, and later with Wood, Son & Co. He joined the Appendrena Club of Dramatic Players; a talented mimic, he also performed comic duets with his brother Albert Lewis (Lew). In later years he recalled that a stutter, which vanished when performing, had been alleviated by Lionel Logue. The stammer was a reality, but the association with Logue, who had assisted King George VI with his speech, was a fiction, although Logue did come from Kent Town." "The Royal couple in stately progress moved through the Abbey over a specially woven blue carpet covering the processional path, along the choir and upstairs to the theatre — a rectangular space over-looking the choir in front of the Coronation chair, with three special chairs for the Princess of the Blood. The peers were in the south transept and the peeresses in the north transept. Members of the House of Commons were behind the peers and peeresses. The Dominion Prime Ministers, ambassadors and Indian Princes, in resplendent Coronation garb, were in the choir stalls. The Royal box, in which sat the Princesses Elizabeth and Margaret Rose, flanked the Coronation chair. Its occupants included Mr. Lionel Logue, the King's voice specialist, who is a native of West Australia, and his wife." "In the context of royal history, George VI was one of only five monarchs who succeeded the throne in the lifetime of his predecessor; Henry IV, Edward IV, Richard III, and William III were the other four. George, upon his ascension, wrote to Prime Minister Stanley Baldwin concerning the state of the monarchy: "I am new to the job but I hope that time will be allowed to me to make amends for what has happened." His brother Edward continued to advise George on matters of the day, but such advice was a hindrance, as it was contradictory to policies pursued by George's ministers. The "slim, quiet man with tired eyes" (as described by Logue) had a troubled reign, but he did much to leave the monarchy in better condition than he found it." "The college was awarded the right call to itself the Royal College of Speech and Language Therapists in 1995....King George VI, who received speech and language therapy for his stammer, became the College's first Royal Patron in 1948. Her Majesty Queen Elizabeth the Queen Mother continued this support after his death in 1952 by becoming the college's patron in 1959." 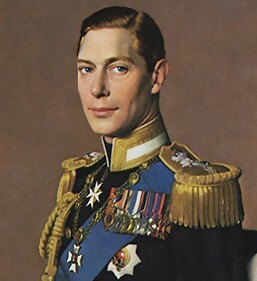 "George VI's reign could therefore be interpreted as legitimate leadership realized through the conscious level, where he played a strategic role internationally and domestically, and at the level of the collectively held beliefs where he was seen a symbol of resistance, stubbornness and continuity. In so doing, he had to make a personal transformation, from a severely inhibited and depressed individual who, with the help of speech therapist Lionel Logue, went on to become a powerfully compelling leader who worked in perfect tandem with another even more powerfully compelling leader, Churchill (who was himself also fighting personal depression), to resolve an immense problem." "Also in that year the Duchess persuaded her husband to try one last time to cure his stammer. The Australian speech therapist Lionel Logue, with encouragement from the Duchess, brought about an almost instant and marked improvement. Logue became a friend and was duly rewarded with a CVO, a Companion of the Royal Victorian Order." quadrant - DEAD LINK, SORRY - but now there's this movie review by Philippa Martyr. "The subject of a major motion picture starring Colin Firth, Geoffrey Rush and Helena Bonham Carter. One man saved the British Royal Family in the first decades of the 20th century - amazingly he was an almost unknown, and certainly unqualified, speech therapist called Lionel Logue, whom one newspaper in the 1930s famously dubbed The Quack who saved a King'. Logue wasn't a British aristocrat or even an Englishman - he was a commoner and an Australian to boot. Nevertheless it was the outgoing, amiable Logue who single-handedly turned the famously nervous, tongue-tied, Duke of York into the man who was capable of becoming King. Had Logue not saved Bertie (as the man who was to become King George VI was always known) from his debilitating stammer, and pathological nervousness in front of a crowd or microphone, then it is almost certain that the House of Windsor would have collapsed. The King's Speech is the previously untold story of the extraordinary relationship between Logue and the haunted young man who became King George VI, drawn from Logue's unpublished personal diaries. They throw extraordinary light on the intimacy of the two men - and the vital role the King's wife, the late Queen Elizabeth, the Queen Mother, played in bringing them together to save her husband's reputation and his career as King. The King's Speech is an intimate portrait of the British monarchy at a time of its greatest crisis, seen through the eyes of an Australian commoner who was proud to serve, and save, his King." Now available from the author (pnhutchinson @ hard.net.au), for $19.00AUD plus $3.00AUD for packing and postage (Total $22.00AUD). "Lionel Logue's relationship with the Duke and Duchess of York, later to become the King and Queen of the British Empire, tends to have been forgotten. If this book helps to remind the reader that it was an untrained Australian speech therapist who contributed towards saving the British monarchy in the years immediately preceding, and during, the Second World War, then much will have been achieved." page 3. Mark Burgess | Lets' hope BBC Radio 4 puts it on again. Bowen, C. (2011, February 15). Lionel Logue: A Pioneer in Speech-Language Pathology . The ASHA Leader . Duchan, J. F. (2012). Historical and Cultural Influences on Establishing Professional Legitimacy: A case example from Lionel Logue. American Journal of Speech-Language Pathology.